A new version of the reference implementation to the GenICam standard has been released with functionality for embedded vision. GenApi 3.0 allows camera description files to be loaded and interpreted several times faster than with the previous version. The files also have a much smaller memory footprint. In addition, more platforms are now supported, in particular the ARM architecture. 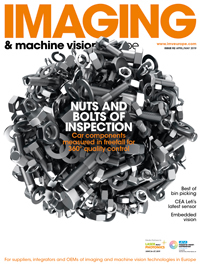 Vision engineers are increasingly looking to use embedded computing to design small and powerful machine vision systems. Digital signal processors (DSPs) and graphics processing units (GPUs) are ideal for running certain image processing algorithms, and the new standard release supports this trend towards embedded processing. The new release is still based on the GenApi standard 2.0 and therefore downward compatible. GenApi 3.0 is the result of three years’ work by the GenICam standard group where all major industrial camera and software manufacturers jointly cooperate. GenApi 3.0 can be downloaded on the European Machine Vision Association’s website: http://www.emva.org/standards-technology/genicam/genicam-downloads/.